Every hobby has unpleasant parts. If you’re interested in cooking, you have to deal with intense heat, especially if you work a kitchen job in the summer. If you like collecting books, you have to find even the most obscure titles somehow, despite them not showing up in any bookstore you know of. When you’re into gardening, at one point or another, you’ll have to get through backyard composting, and it’s a major hassle. For those new to gardening, composting is a funny word that describes the process of recycling decomposed organic matter. The result is called compost, and it’s a rich, valuable soil to grow things in. While this process usually takes a good while, crafty people have developed ways to speed things along, so we could grow whatever we want in our yards more efficiently. Why Should You Use a Compost Tumbler? What Goes Into a Good Tumbler? In most situations, using a compost tumbler over a bin helps speed up the composting process. You can usually expect results within three weeks, which is a relief. Make sure you have somewhere to put the rest of your waste while the tumbler works, otherwise you’ll need to wait a lot more for the composting to finish. Some multi-chamber tumblers remedy this, but you still have to let the compost do its thing without adding too much new material. 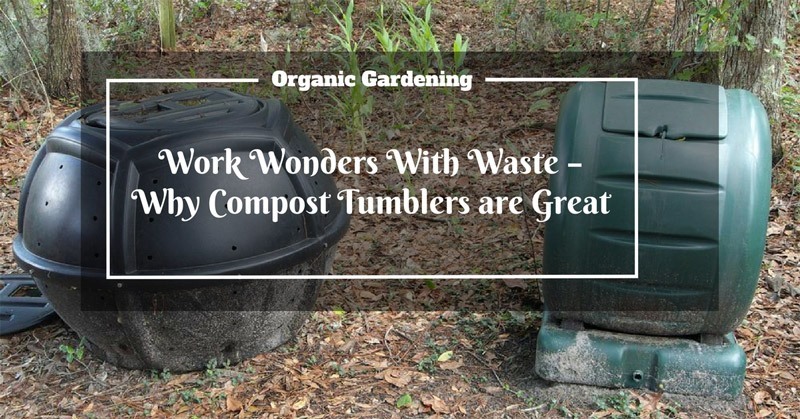 Additionally, compost tumblers help keep the compost pile’s heat levels up, which promotes further decay and somewhat reduces the impact weather has on the process. Also, rats and other vermin can dig under the standard bottomless compost bin, but they can’t chew through the thick exterior of a tumbler, so you can safely put meat or fish in the composting pile and get a richer soil as a result. There are a handful of qualities you want in a compost tumbler. 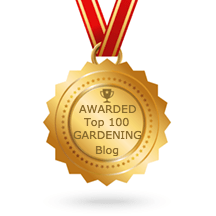 I’ll go over all of them to help you make an informed purchasing decision and avoid being sweet-talked into accepting a horrible deal for your garden. This one’s pretty obvious. You want to find a tumbler with a big enough capacity to be usable with the size of your compost pile. Think about how much food you throw out and how much cut grass/straw/leaves you tend to end up with. The larger the capacity, the slower the composting process tends to be, similar to how larger pots of water boil slower than smaller ones. The materials used to construct the tumbler primarily affect how much heat the compost inside is consistently exposed to. Make sure you invest in rust-free and BPA-free tumblers, as problems like excessive rust can render your unit unusable. You fix that kind of problem by patching the compost tumbler with a fiberglass mesh patch or apply a spray that helps remove rust, but most of these solutions are labor-intensive and impractical. Having your compost tumbler resist rust well in the first place is a huge timesaver. Extra tip: Even though heat helps the compost tumbler work faster, you might want to avoid placing them in direct summer sunlight. Depending on the construction materials, you may encounter problems with the lid. If there’s melted plastic, that could cause the lid to be difficult to budge or secure. While you don’t want to leave your compost pile in a tornado, having good aeration is very useful in promoting faster decomposition. The best option is a tumbler with air vents you can adjust or one with a large number of vents. Turning a compost pile, even in a tumbler, can be difficult if you have back problems for example. If you don’t feel like you can handle regular turning on simpler models, there are (admittedly more expensive) compost tumblers that are operated with a handle and cogs. Also, not all compost tumblers are equally easy (or difficult) to assemble. Consider choosing a simpler product if you’re not proficient with tools or don’t know someone who is. This composting tumbler is big. Really big, as it holds 60 gallons without any trouble, so unless your garden can host a large wedding, it should keep you covered. While it is a bit heavy when fully loaded, using it is as easy as spinning the bin that gives it its name. The 20 vents are positioned in a way that a lot of aeration is provided while the tumbler is spinning, sort of like how being next to a bus window cools you off while the bus is moving. There is some assembly work to be done before you can use this particular tumbler, but you receive a useful manual that walks you through the process, step by step. The result is quite a durable compost tumbler that comes with a 2-year warranty. Some compost tumblers produce a very different kind of compost than the kind you’d get from a simple bin. This one comes really close to matching the bin-produced soil, despite not being suitable for worms like the bins are. Like with the best coffee machines, you’ll know the work is done when the final product is rich and dark. The first thing that might get your attention here is the “Tea Maker” in the name. While it would be amazing to have a built-in kettle for hosting tea parties in your backyard, that’s not what they mean. Instead, what this oddly-named tumbler does is collect liquids that drip out of the composting materials, as those liquids can be used as fertilizer. It’s pretty useful, though you may run into slight problems trying to extract that tea. Other than that, the product is pretty durable, as it’s made to resist rust and other problems. There’s no assembly required, which saves a lot of hassle. The price is nothing to scoff at, but it’s not going to require too much financial squirming to pull off. Still, it’s the most expensive tumbler on this list if you go for the larger, 35-gallon option. The 17-gallon one is much easier to afford, and usually enough for a standard family. Whichever you end up purchasing, you can expect it to also be a quirky decorative piece in your garden, as it looks very elegant. The main advantage of the Yimby is its dual-chamber construction. A lot of people slow down the composting process by adding too much new waste, and this keeps you going by offering a second chamber to dump your waste into. It offers adjustable air vents so you can increase/control the aeration, and clumps of the decomposing material can be broken up using fin-like parts on the inside. The tumbler is made out of quality materials, and as a result, it can actually withstand direct sunlight better than most of its competitors. One downside is related to the claim that this tumbler can produce useable compost in only two weeks. This is a very tempting selling point, but be warned: two weeks is only a reasonable goal in perfect conditions. That is to say, a lot of heat, no adding extra materials after filling a chamber initially, and a healthy variety in what kind of scrap is in the pile. So don’t expect it to be that fast. Other than that, the price is good, and you can maintain a steady flow of compost if you can get used to managing both chambers. What a name. At least it tells you the capacity, and it’s a pretty good number to work with. If you can avoid constantly adding new scraps and pieces, you shouldn’t have to wait too long to get a fresh helping of good-quality compost. It’s durable, and it provides a lot of heat due to its black color (ever wondered why you hate the summer more when you’re wearing a black shirt?). It comes in essentially one piece, with no assembly required, so anyone can order it without needing to consult NASA scientists on how to put the thing together. There’s also no way for your children or pets to mess up the composting process by accessing the material when they shouldn’t. However, the only real downside is a bit concerning. Because the air holes are on the side and clearly exposed (otherwise they wouldn’t really do much good), rain can sneak through on occasion. This is an issue because there seems to be no drainage system in place to deal with this extra water, and as anyone who has made a lot of compost before can tell you, too much water ruins things. If you can solve this problem (maybe by creating a hole or two yourself specifically for draining out unwanted moisture), the price is good enough to make this compost tumbler a solid purchase. 80 gallons is a lot, okay? I’m not sure what you’re going to do with all that, but if you need a ludicrous amount of compost, this compost tumbler’s your choice. It is an absolute beast, with special, super-thick panels meant to help retain as much heat as possible. It’s easy to use once you’re done assembling it, and its internal bar keeps the compost aerated to promote faster decomposition. The spinning barrel can be easily tipped to transfer its contents into a wheelbarrow, so you won’t have issues unloading. There is a bit of moisture draining, but it can be a neat way to keep the yard healthier, as most of that liquid is the “tea” mentioned earlier in the article. The assembly can prove troublesome, however. Of all the tumblers in this article, this one is the hardest to put together, and you absolutely need all the screws you get to make sure it’s stable. Otherwise, it runs the risk of falling apart. Try to have someone lend a hand even if you’re experienced with basic tools, as the tumbler is heavy and should probably be tackled by more than one person. After examining all these, we’ve isolated a winner, by a solid margin. If you’re just trying to make compost without much to think about, the Spin Bin Composter is the go-to choice, without a doubt. Not only is the resulting soil really high-quality, but the tumbler is very easy to use, as long as you go through the minor annoyance of assembling it. It comes with a manual, and it’s nowhere near as troublesome as the Lifetime 60058 in that aspect, though, so you should be composting in no time. Send us your feedback! If you’ve already used one or more of these, give us your stories and thoughts. We would love to hear from you, as sharing impressions and reviews can help us all pick the best products and relieve a lot of stress.